We're showing information for 92373. Modern consumers prefer to make informed purchases. They look at reputations and business records, choosing the business that can best address their specific needs. That means the California market is always getting more competitive. Business owners in Redlands, CA need quick, dependable connectivity to capture the attention and loyalty of new customers. 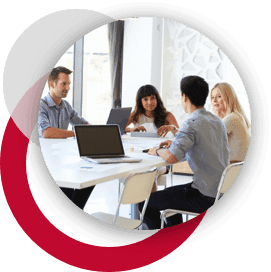 Frontier Business packages offer a variety of phone and Internet services—including Business High Speed Internet—designed to help you easily communicate with your clients and your team members. In The Golden State, business success relies on a solid infrastructure. Frontier’s services for small business include tools to help your company acquire new customers, build partnerships with other businesses, and recruit qualified talent. What’s more, services such as Managed IT, Conferencing, and Texting facilitate connections with new and existing customers, employees, and partners. Frontier makes it easy to promote products to your clients and communicate goals to your team members—all through a secure and protected network. Frontier also enhances your online presence with Web Development and Hosting services. With better communication and better web strategy your Redlands company will have a hiring edge in a market with a projected job-growth rate of 16.72 percent. Many large businesses throughout California are experiencing a state of growth and expansion, which presents an exhaustive list of challenges exclusive to companies of a particular size. Frontier’s Enterprise Solutions were developed specifically to help you navigate these challenges and maintain a level of consistency, growth, and longevity. Expansion often leads to increased connectivity demands, and Frontier’s scalable Ethernet (Local Area Network and Virtual Private Line) systems will provide flexibility, support, and bandwidth you need. What’s more, the IP Virtual Private Network will give you protected access to your online assets through a safe IP connection. But in a market like Redlands you may need a little more than scalability. No matter where your customers are, Frontier Communications makes it easy to stay in touch with your customers over dependable phone lines that have high-quality sound. Centrex from Frontier provides your business with top-notch telephones that come with intuitive, modern features. Furthermore, we will take care of network design, equipment, hosting, monitoring, and more, while you spend your energy making things better for your The Golden State clients. 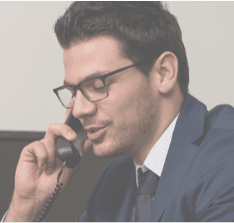 Plus, with our Hosted VoIP solution, you’ll not only experience crisp sound quality (with Frontier voice solutions), but you also get standard features like Caller ID, unlimited nationwide calling, and Voicemail, as well as new technologies like voice-to-email integration. In 2013 alone, there were 0 reported cybercrimes in California. Protect your California business. By investing in Frontier Secure, you can protect your important data with malware and virus protection. Plus, with access to professional tech support and cloud backup you can worry less about the unfortunate event that something goes wrong. And Frontier does more than keep your business safe online. You can also invest in equipment replacement programs, to protect the physical assets your business can’t afford to lose. Want a faster business Internet connection? Turn to Frontier. The California average internet speed currently rests at 37Mbps while Frontier business Internet offers speeds up to . That means you’ll never have to wait around for access to the information you need most. With a faster Internet connection, you’ll be able to quickly access online data, spend more time communicating with clients, and grow your business efficiently.